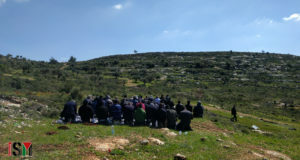 On Saturday 7 July, 2012, the village of Yanoun, located 12km southeast of Nablus, was attacked by illegal settlers from the illegal Itamar settlement. Five Palestinians were injured in the attack and large sections of agricultural land were set ablaze. The attack began at roughly 2pm. The illegal settlers descended on the village and began setting fire to sections of land and firing on sheep while they were grazing. 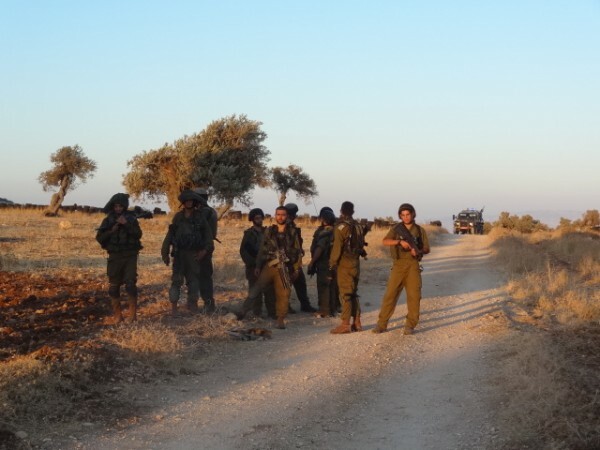 In the course of the attack on Yanoun, 5 resident of Aqraba, (the neighbouring village) were injured to varying degrees. 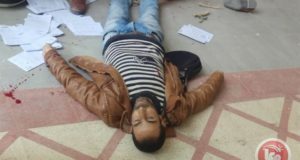 Two men, Ibrahim Hamid Ibrahim, and Adwan Rajih bini Naber were beaten by settlers, and another, Joudat Hamid Ibrahim was stabbed in the shoulder after being beaten as well. When the Israeli Occupation Forces (IOF) arrived, they joined in the attacks, injuring two more. Hakimun Ahmed Yusuf Bini Jaber, 42, was shot in the arm with live ammunition by an IOF soldier and Ashraf Adel Hamid Ibrahim, 29, was shot in the back with a tear gas canister when the soldiers attempted to scatter villagers who were to aid the injured. The villagers who were aiding the injured attempted to carry the injured men to ambulances, but IOF soldiers blocked the roads and refused to let them through. The IOF and illegal settlers also stopped residents from putting out the fires. The first ambulance to leave was reportedly stopped at Huwwara checkpoint en route to a hospital in Nablus. 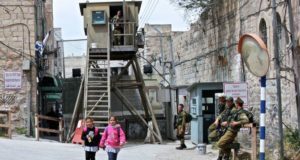 Two of the injured men were taken from the ambulance and held in Israeli custody for an undetermined period of time. The second and third ambulance were not allowed to depart with those wounded for two hours. After the attacks had stopped, IOF soldiers still held Adwan Rajih Bini Jaber captive, refusing to allow the ambulance carrying him to depart. Illegal settlers stood by heavily armed, protecting the fires that they had set to Palestinian land. IOF soldiers blocking the main road out of Yanoun. Nearing 6pm, illegal settlers and IOF soldiers once again advanced on the Palestinians, as internationals gathered to show solidarity, which ending in the firing of tear gas canisters and live ammunition into the air. Yanoun and its residents have been subject to terrorism by illegal settlers from Itamar for many years. On October 19, 2002, there was a temporary mass exodus due to the harassment, drawing parallels with the refugees created in 1948. The villagers returned little by little in the weeks following, with the help of peace activists from Ta’ayush & other groups but the village still suffers from violent attacks regardless.